Leaving this mundane existence let me rest on the boundary line of this universe: let my existence alone be my abode and let me enjoy the elimination of all my misfortunes. The non permanent appearance of happiness and distress, and their disappearance in due course, are like the appearance and disappearance of winter and summer seasons. The mind is restless, turbulent, obstinate & very strong. O Krishna, to subdue it, I think, is more difficult than controlling the wind. Lord Krishna said: It is undoubtedly very difficult to curb the restless mind, but it is possible by suitable practice and by detachment. Why did South Asians migrate to Harrow? People have been migrating from South Asia to Britain for the last four centuries. At first fairly well off people came, to pursue education or professional interests, and later more came during the colonial rule. Once India gained independence in 1947, and Pakistan was created as a nation, more people migrated as a result of difficulties in the local regions. However the South Asians who travelled to UK before 1947 included traders, doctors and lawyers, and in the early 20th century seamen and former soldiers arrived. During partition there was mass movement of populations between India and Pakistan: some of those displaced came to UK, and were thus migrants twice over. People of different faiths reside in the continent, and these include: Hindu, Jain, Muslim, Christian, Sikhs, and Buddhists, all of which are represented in Harrow’s population. Industrial labourers came to fill factory jobs in the 1960’s and 70’s. 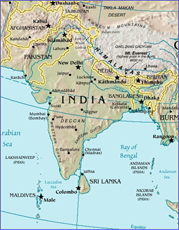 Most people came from specific areas of the sub-continent including Gujarat and Punjab, and Sylhet in Bangladesh. At first men came, and brought wives over from their place of origin. During the 1960s and 1970s, East African Asians also began to arrive due to the policies in Kenya, Tanzania and Uganda. More recently Tamil people came to Harrow to escape the civil war in Sri Lanka. Today many community groups flourish.